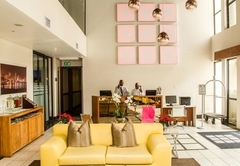 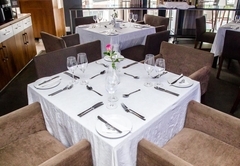 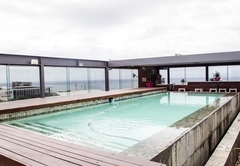 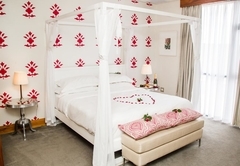 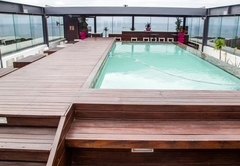 The Square Boutique Hotel is a highly recommended Umhlanga Rocks boutique hotel providing accommodation in 50 guest rooms for tourists visiting the Umhlanga Coast region. 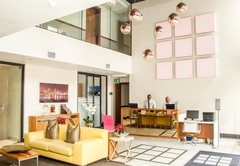 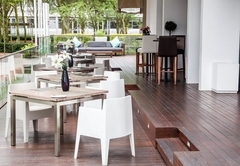 The beautiful four-star Square Boutique Hotel & Spa in Umhlanga Ridge on Durban's north coast, is set within a vibrant, brisk and active mix of retail and commercial properties; distinguished from the rest with a fashionable, contemporary European design. 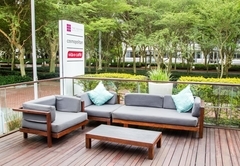 It’s the ideal destination for corporate and leisure travellers, offering an international urban lifestyle with a cosmopolitan buzz in a magnificent, tranquil village setting on the Umhlanga coastline with the unequalled convenience of being in close proximity to everything. 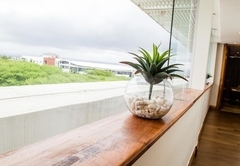 A mere 20min drive from the new King Shaka airport, a stone’s throw away from Gateway Theatre of Shopping, and only 15min from Durban central, it is truly a central venue! 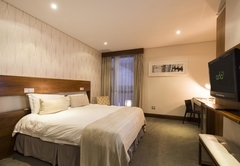 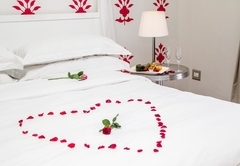 The Square offers 43 superior and 7 deluxe rooms; all equipped with extra-length king-size beds, air-conditioning, IPTV, wireless and fixed internet facilities, mini bar, room safes, fold out sofas for children under 12 years, and laundry service. 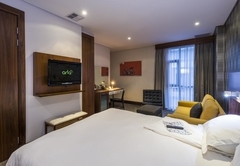 A fully fledged Internet Protocol television (IPTV) service in the hotel rooms makes available live television, time-shifted programming and video on demand; all delivered through satellite streams converted to an Internet Protocol (IP) based service. 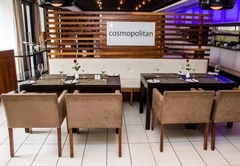 Open for breakfasts, lunches and dinners to the public and guests, the on-site Cosmopolitan Restaurant serves all types of cuisine, a la carte and buffet style, with all day dining available. 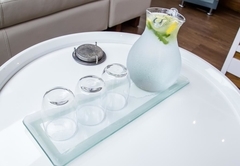 The on-site Aqua Spa spoils with personal attention, quality products, rejuvenation therapies and a full range of body and facial treatments. 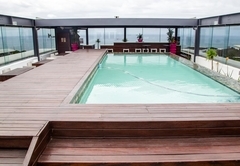 Access to the compact fitness centre, sauna, steam room and pool area are perfect for leisure and pampering. 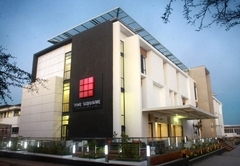 The Square Commercial Centre with secretarial, shuttle and courier services accommodates up to 200 conferencing and meeting delegates in banqueting style. 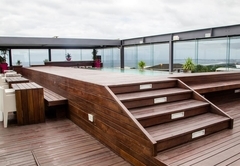 We liked it so much we already booked for our next trip.